Due to technical difficulties I am a little later than planned here. Blogtober Day 18 is upon us. Another short one this evening. 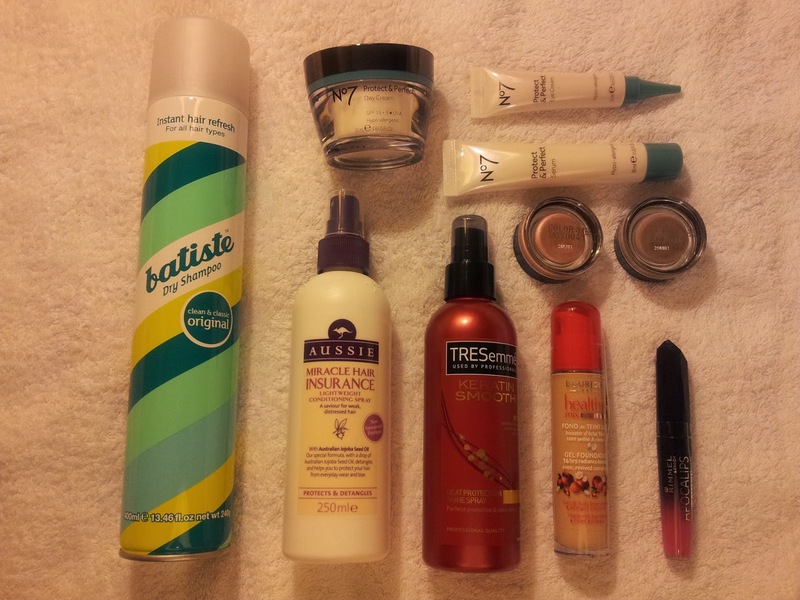 I thought I would share with you a mini haul drugstore haul. I got quite a few No7 protect & perfect skin items along with dry shampoo, leave in conditioner, heat protectant spray, foundation, lip lacquer and eye shadows. It was a relatively small haul, but as of course skin care was involved, it didn't exactly make it a cheap one. I will however be doing a Skin Care Routine post in the coming days, featuring some of the products shown above, so keep an eye out for that. What little shopping trips have you made of late? Are you like me and cannot be left unsupervised in a shop?